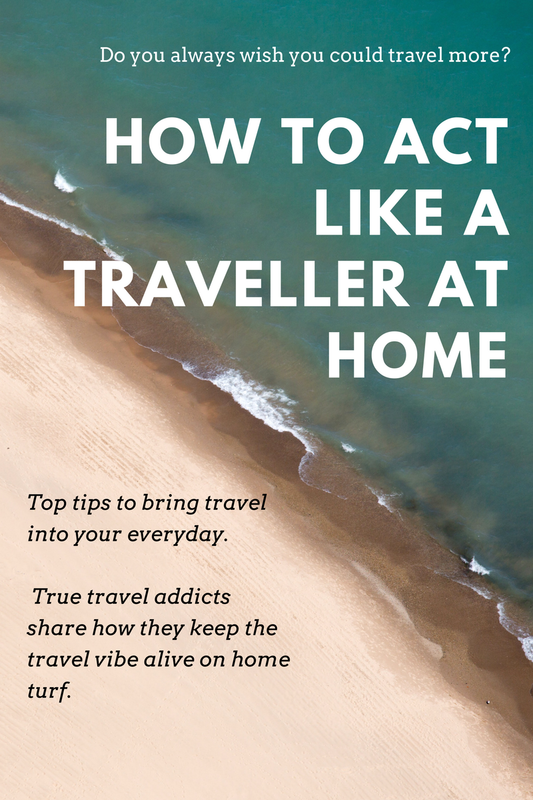 Host travellers via Airbnb- If you have the space spruce up your spare room and create a hosting profile on airbnb – it is a great way to bring the travel vibe into your home. You can sit down to breakfast with travellers from all over the world – just like being at a backpackers – at home. And it can help you make some extra money to go towards your next holiday. Travel Insider Tip: I love picking up little independent travel guides for my home city that are based on interviews with locals – always makes you discover new corners of your hometown! Turn off the Data on your phone – Chances are when you travel you pare your expenses down as much as possible – and paying for roaming data overseas is not cheap. Your travel self relies on wifi, paper maps, talking to your spouse over breakfast and looking out the window of the train. Give it a go at home (occasionally) and see how it feels. You will probably be a bit jittery at first – but perhaps the unconnected lifestyle will grow on you and you might just make some connections and memories offline. All the better to share on the social media of your choice later on. Travel Insider Tip: Geocaching! Helps you discover so many hidden gems on your doorstep. Back up your computer, and your phone – This is a boring one, but practical.The life of a traveller is considerable less secure than your home life, and because of this travellers are better at remembering to back up their preccious memories, weather this is saving things to the cloud or a portable device no true-blue traveller would let their photo’s, diaries and work be vulnerable to theft and corruption by just being saved in one location – and while you are at it check up on your anti-virus software as well. Travel Insider Tip: Keep an eye on cheap accommodation offers and book something nice in a different part of town for a night. Join a travel network- If you work in a travel industry- but don’t get to travel as much as you would like join a group like Travel Massive – there are chapters all over the world and they are a great way to stay in touch with travel insiders, hear what is going on around you and sit down for a drink with some like minded travel addicts and talk about past and future travel escapades. Go somewhere new that is local to you – Chances are there are plenty of amazing things to discover not far from your front door. Why not: Visit a small gallery. Stand in a forest for 10 minutes and just listen. Walk down a different street when you are coming home from work. Eat out somewhere you’ve never eaten before. Know Your Passport: When you are travelling you always make it a priority to know where your passport is, and when the expiry date is. If you make this a priority in your at home life as well you won’t be sorry. Trust me you don’t have to go far to find a story about a lost or expired passport and a ruined trip. Don’t be the story. Travel Insider Tip: Find your nearest hotel concierge and chat to them to find out what they recommend in the city for tourists – it’ll likely be things you’ve never considered, and they know all the best tips on how to get cheap/good tickets for things, and local events that are happening. Throw out your routine – I know it is a scary idea. Dinner, bath, bed is my life raft, but when you are travelling with kids you have to accommodate all sorts of changes to routine, and everyone survives, and sometimes we even have fun. So at home why not: Go for a walk after dinner, eat out, sleep on a camp bed in the lounge room – who knows some of it might get incorporated into a new routine. 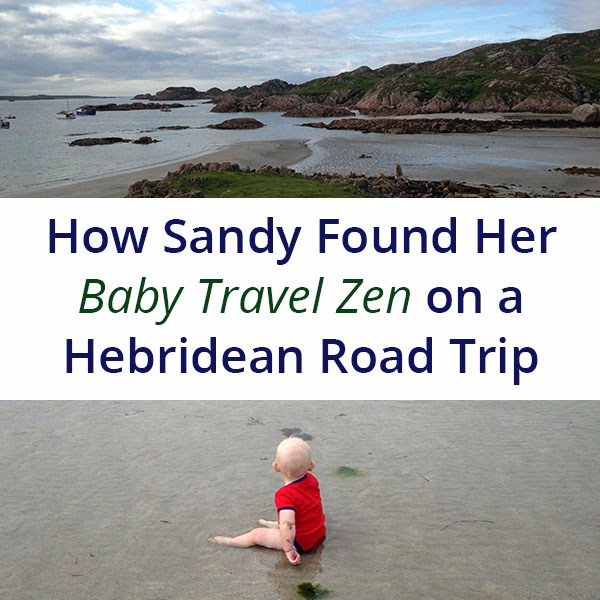 Regular traveller Anne Hamilton told me how she and her son keep bed time from getting boring by bringing travel home. Travel Insider Tip: Every few weeks or so when bedtime gets boring and we’ve no real trips planned, we ‘camp out’ overnight in the sitting room. The 6 yr old chooses the country, and we spend the night under a selection of bedding on the sofas. Most recently, Antarctica was the ‘in’ place, so we put together a pick-up tea (a picnic by any other name) of tuna, prawns and ice cream – yep, we interpret local foods very widely -and ate it in our camp with March of the Penguins as background. If you left the room, you donned your hat and scarf and waterproofs (imaginary wellies out of deference to the lady in the flat below!) and braved the polar bears (played by a giant papier mache cat and Clifford the Big Red Dog)… Next time, apparently, we’re going to Denmark, but given LEGOLAND appears to be the real draw, that’ll be doubly interesting! Again try minimalism – Get radical with how many clothes your children have – do they need that many t-shirts –are there things they never wear? Would you take that much stuff if you were travelling. The other kid area you could try to downsize is the toys – encourage the kids to help, make a pile to donate to a local charity. Do you have any tipe to share? These are great tips for living life to the fullest! Thanks for putting this together. Thanks Nastasya. Glad to hear it connected with you. Do let me know if you try out any of the tips! Or if you have any more of your own. I really like this post, Sandy! Some great tips here. Glad that at the moment there are no extra costs for roaming in the EU. As I work from home I definitely like to 'throw out routine' sometimes – It's important to have a day off and do something different. And as a kid I loved sleepovers and midnight feasts, which I knew of from books about girls at posh boarding schools! Lovely to take a break from the routine – how is it getting the kids back into routine or do they understand that the holiday is time-related, not a matter of changing location! Great life lessons there too. Thanks Maria – glad it resonated. I think as regards to getting the kids in and out of routine – it is a good way to remind us all that life is big. As you say 'Great life lessons' to be had.